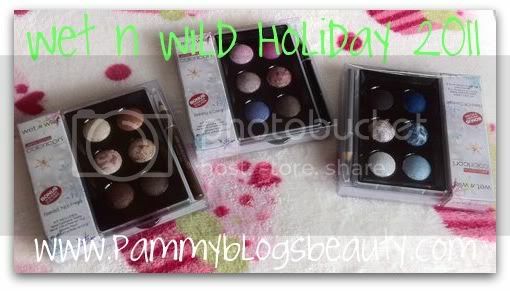 My Wet n' Wild Holiday 2011 review series concludes with this review of the Baked Palette in "Baking a Cake". This is the palette that jumped out at me the most when shopping this collection. I love wearing light pinks and purples on my eyes and this palette hosts a very pretty icy pink shade and a periwinkle shade...plus neutrals. I just couldn't wait to try this one out! 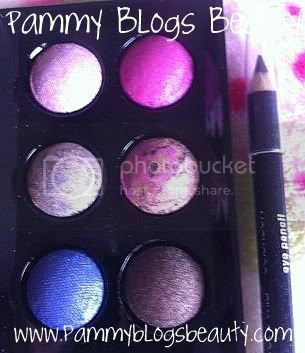 Curious about the rest of the Wet n' Wild Holiday 2011 collection (exclusive to Walgreen's)? Be sure to check out my previous posts: Wet n' Wild "I love Matte" Palette Review and Wet n' Wild "Bake Off Contest" Palette Review, and " Wet n' Wild "Baked Not Fried". My photo doesn't even capture how pretty the colors are in this palette (sorry I have been struggling for good lighting lately, the periwinkle turned out a little more blue in this picture than it presents in real life, swatch after the jump is more accurate). 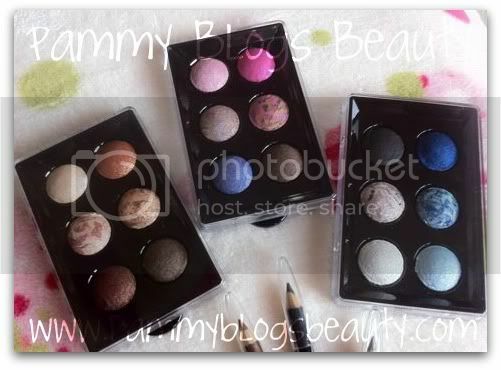 Please keep reading for more photos, swatches, and my first impressions! 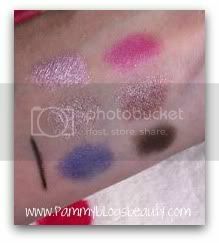 As with the other Wet n' Wild 2011 Baked Collection, my best tip is to apply these shadows wet or "damp" (by spraying a makeup brush with water) to intensify the colors. As I continue to experiement with these palettes more. I find that I use a combo application of wet and dry. I like applying the shadows dry to the browbone or crease. I like to use the shadow wet on the lids to really make the colors and metallic finish pop. For me, the stand-out shades in this palette are the taupe and the taupe/bronze. These are so beautiful in the crease. I also really like the light icy pink shade. I honestly do not like wearing hot pink shadows so I have pretty much neglected that shade. The Periwinkle is very pretty too! Like with all the Wet n' Wild Holiday Baked Palettes, I like the liner that was included as well! The liners are soft kohl that apply easily and contain sparkle. Overall, I really liked this Wet n' Wild Holiday lineup! The Baked Shadows are fabulous when applied wet/damp and I even have some new favorites (Bake Off Contest). Plus, the matte palette is a great addition to any makeup collectoin. I hope that Wet n' Wild continues to release these fun Holiday Sets each year. Also, I would be thrilled if they started doing some baked singles (one can only hope!!! ).